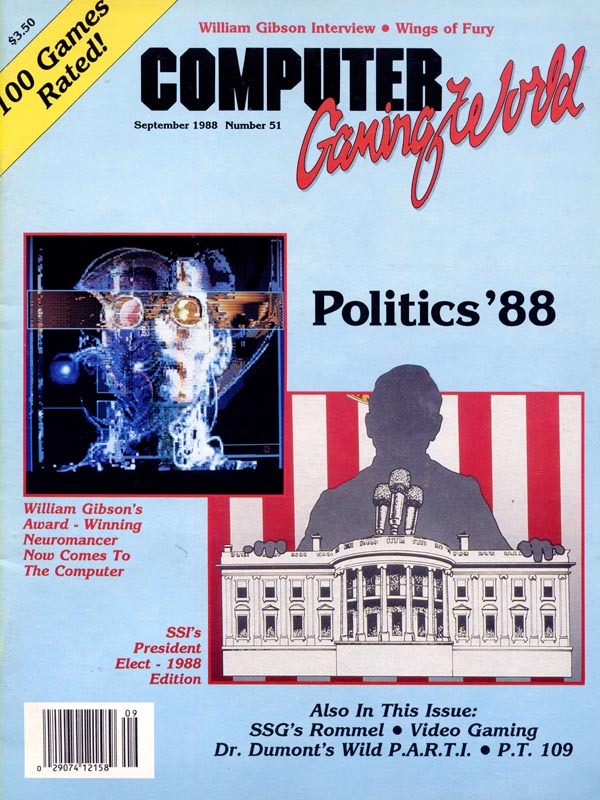 Computer Gaming World Comments and Highlights: Politics were the topic of this issue, featuring President Elect � 1988, Global Commander, and The President is Missing! This was followed by a sneak preview of Neuromancer and an interview with author William Gibson. Not forgotten were Broderbund�s Wings of Fury and Spectrum Holobyte�s PT-109 simulator.